Planet X new boy Jamie Burrow, former US Postal Pro and three time winner of the GF Dolomites, reports from Italy. This time last year I was traveling the world, sourcing suppliers for a new Planet X clothing range. One year on and we have made some giant steps forward. Not only has all the hard work paid off with the new Planet X 365X clothing range now available, both in store and online, we’re also proudly supporting Danish Professional cycling team, Christina watches, as official technical sponsor. There have actually been quite a few new developments over the past few months and many a tale to tell. Not only are we supporting a pro team for the first time with our new range of technical clothing, base layers and accessories, we are also supplying them with our new Planet X Pro Road helmets. And it doesn’t stop there. No, we have gone the whole hog and supplied the main ingredient… bikes! That brings us to another of our recent developments and new projects, Viner bikes. During the later part of last year en acquired the prestigious Italian bicycle brand, founded in 1947 in the hills of Tuscany, Viner was fast established as one of the highest quality, and highly respected, hand made bike brands in Italy. Viner have enjoyed many successes in a period covering more than half a century, including World Championship titles, Grand Tour stage wins, and a pro team as recently as 2008. We have been working around the clock to bring this fantastic brand back where it belongs, whilst retaining its "Made in Italy " heritage. Having recently developed a new version of Viner’s flagship race machine, the Maxima RS 3.0. What better way to shout about it and let everyone know we are here, we are back, and we mean business – a pro cycling team. 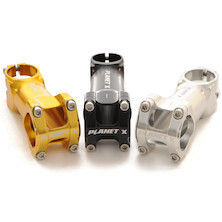 This is a whole new chapter for us here at Planet X bikes. We have designed and developed world-class products from the ground up including clothing, accessories, wheels and bikes. Now we’re finally showing them off at the highest level, on a playing field where we belong. The past few weeks have been crazy busy; supplying a Pro team with everything they need is a pretty big task. But never afraid of hard work and some elbow grease, not only did we accept the challenge, we took it to the next level in typical Planet X style. We wanted to stand out and show how we always meet goals and often exceed all expectations, by supplying our new Maxima RS 3.0 with custom geometry, and the coolest paint job in the peloton, hand finished with the individual riders national flag painted on the front fork and top tube. This week has seen me back in a place I never imagined I would find myself again, a pro team training camp. But for the first time ever, not as a bike rider. I’ll admit its been great being back in the mix with old friends and colleagues from days gone by. The guys here in the team can count themselves lucky to be in such experienced hands with sports directors Alberto Elli, Bo Hamburger and Eddy Serry. All fine pros back in the day and full of enthusiasm to pass their knowledge on to the next generation. Here at Planet X we really hope this experience rubs off on our own “team favorites”. British riders, Jonny Bellis and Jake Tanner. Many of you will know Jonny as a bronze medalist in the U23 road Worlds and a first pro contract with super team, CSC, as teammate of Alberto Contador. After a very untimely life threatening accident, which put his career on hold, Jonny is now fully recovered and highly motivated for the new season and this new opportunity with Christina watches. Jake on the other hand has come into the team as the unknown quantity. Son of 2 times British champion, and general all round hard man, John Tanner, who himself gave Planet X many victories in its early years. We are only 3 days into camp but Jake is already turning heads and making tongues wag. Never afraid to do his turn on the front, or “Put a loop in” As our Wayne Randle would say; it’s actually been hard to get Jake off the front. He impressed everyone with his pace setting on an 8km climb, with a 12% average gradient and peaks of 17%, shredding the 16 man group down to only 5 by the top. This was also followed by a now “famous” episode of through and off, where none other than team Captain Stefan Schumacher kept pulling our lad back by the saddle to slow him down! We all wish our guys Jonny and Jake the best of luck. We hope they can make the most of this chance and do us all proud. The team has great mix of up and coming young talent and more seasoned pros. The atmosphere is great, everyone is motivated, and Team sprinter, Mattia Gavazzi, makes sure dinnertime banter is highly amusing, keeping us all entertained. For me on the other hand, after 3 days liaising with all the riders one by one, making sure everyone was happy with their new bikes and clothing, today I suddenly found myself behind the wheel of the team car with Planet X Chief operations officer, Barry Dunn, as my wingman. Even if this was only a temporary stint in the Sports Directors chair, it sure did feel good. For road riders wanting to shave some precious g's off, whilst still maintianing a stiff, watt inducing front end, look no further than the Ultralight CNC. 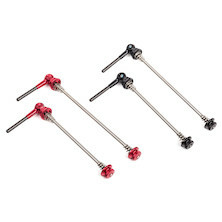 The ultimate set of extremely lightweight Titanium quick release skewers with Carbon Fibre levers. See our new bikes and check our clothing and accessories. Outlet Showroom now open - grab yourself a bargain.